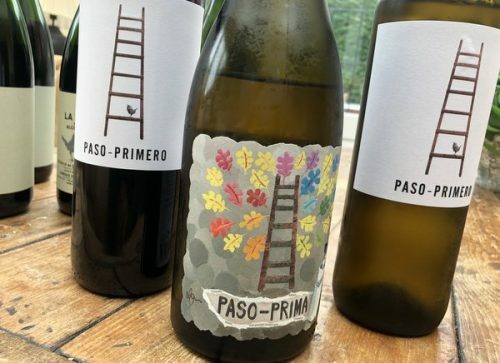 Paso-Primero is a Somantano wine company run by Thomas and Emma Holt. They hail from Shropshire (England) and previously made wine in Niagara, Canada, but they found that the winters there were just a bit too harsh for them. So they relocated to Spain, to the Somontano region in the foothills of the Pyrenees. As well as some well-priced and tasty wines, they also make a Vermouth. 15% alcohol. Red-tinged deep brown in colour, this is highly aromatic, with notes of tar, medicine, mint, sweet cherries and herbs. In the mouth it is warm, sweet, complex and spicy with nice richness and harmony.